The San Diego rental market is healthy. It has less than a 4% vacancy rate, and rents are steadily increasing. According to The San Diego Union-Tribune, rents hit $1748 in early March 2017, a year-to-date increase of about 8%. San Diego’s rental market should remain strong for the foreseeable future, while will provide tremendous opportunities for property owners and management firms. Property management firms oversee the leasing of other peoples’ properties. Their job is to find tenants secure housing and help property owners achieve income goals. Their main responsibilities include screening potential tenants, collecting rent, providing maintenance, writing lease agreements, and marketing available properties. In return, they receive a portion of the monthly rental values plus expenses. Some companies charge a flat fee instead, but this isn’t as common. The key ingredient to success for property management firms in San Diego is to develop a reputation built on honesty, reliability, and expertise. Property owners need to know you’re trustworthy, well versed in industry standards, and that you’ll find the best renters at the best prices. Tenants must feel secure in the fact that they’re paying a fair price for a well-maintained, secure home and that you’ll fix any problems that arise. Keep property owners updated, but don’t bother them with details. Let them know about upcoming vacancies and what you’re doing to fill them. Propose rental increases when the market can support them, and inform them about upcoming expenses, such as appliance replacement, but assure them you’ll try to keep costs down. Keeping owners in the loop about important matters builds rapport and trust. Keep tenants well-informed and treat them fairly, and they’ll become long-term clients, even during rent increases. Respond to complaints quickly and efficiently, and conduct regular property evaluations to find issues before they become problems. By keeping tenants happy, you’ll keep owners happy, too. When their properties are rented to stable, long-term tenants who are satisfied with their rental homes, owners are happy. Market your properties digitally, and harness the power of social media. You’ll get thousands of eyes on your properties instantly when you take advantage of Facebook, Instagram, and Twitter. Join professional organizations and attend industry events. You’ll stay on top of new trends and make valuable connections. Volunteer to speak at industry events; you’ll position yourself as an expert and grow your business. Don’t go it alone. Network with local real estate agents. They’ll help you market your properties and provide exposure you can’t get by yourself. In San Diego’s booming rental market, property managers must be at the top of their game. By putting people first, both clients and tenants, you’ll build a reputation for trust and reliability. 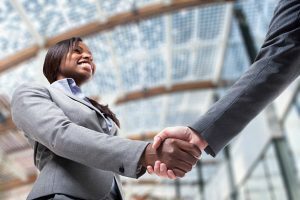 It’s a demanding field, but hard work and dependability are rewarded with long-term, fiscally-advantageous relationships. Rent collection will become way easier with Property Management Indianapolis Companies by your side. The property managers will make it a point to collect rents from the residents well within time. You can anticipate steady cash flow with property managers taking care of your properties. These experts will see to it that the tenants aren’t delaying the payments and if they make it a habit, the managers will take a strict action and will even handle evictions. 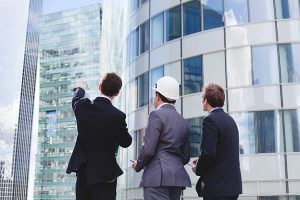 On hiring a property management firm, you will get a lot of freedom from the day to day activities concerned with the management of properties. Not only will you be relieved of the daily tasks, but you will also not be bothered by untimely, emergency calls of residents. For any case, the residents are going to call the property managers. It will be the responsibility of property managers to remain available for the tenants and deal with their queries and problems. Keeping the properties in great condition will be another responsibility of Property Management Indianapolis Companies. The property managers will ensure that if any repair is required in the property, then it is carried out immediately and in the most affordable manner. These professionals will have contacts with the most able and efficient contractors and vendors who would offer maintenances well with in time. With these experts handling your properties, you can expect the properties to remain in great condition. Other than this, the property managers will also look after filling vacancies. Whenever the previous tenants living in the rentals would leave, the property managers would get back the property in the original condition and will start hunting for new tenants. They will look for just the best tenants on the basis of their background, credit score, and previous rental history. It will be their priority to hunt for tenants who don’t have any criminal history attached with them and the ones who can pay their rents in time. These are some of the reasons why you should choose to deal with Property Management Indianapolis Companies. With a good property manager handling your properties, you can sit, relax, and enjoy! Selling a home in Logan is just not an easy deal. A lot of time, effort, and planning goes into making a home presentable for the outside world and selling it ultimately. One needs to be prepared for a great deal of patience and wait before they can finally make the winning deal and sell the home. Learn the best ways in which Houses For Sale in Logan Utah can appeal the buyers and can be sold easily that too at the best price. A lot of time goes into planning the sale process. However, one sure fire tips which can help you sell your homes quickly is by selling it at the right time and in a well-planned manner. Take out time to assess what exactly sho uld be the asking price for the property. It would be best to go for a drive down the neighboring area to find out what is the asking price for comparable properties in the area. Look through all possible resources like online websites to know what the price of properties similar to yours is. Considering all these points, you can come to a suitable price for your Houses For Sale in Logan Utah. Setting up financing correctly is quite important when one wants the buyers to pay all the money at the end of the deal completely. It would be best for you only if you can help your buyer get in touch with a mortgage broker so as to assist in financing. Another important step that can be beneficial in selling houses in Logan Utah is by proper marketing. If buyers aren’t going to know that your house is up for sale, then how would they reach out to you? Therefore, it is important that you have a smart marketing strategy if you want to sell your house soon. Advertise your Houses For Sale in Logan Utah at all the possible print and online platforms including websites, yard signs, fliers, newspapers, real estate magazines, and alike. Make sure people take notice of your ad and contact you for buying the home. Lastly, you should stage your house well and then only it would appear appealing for the buyers. As and when the buyers visit the property, they should feel that the home is free from all sorts of clutter and is clean. It would be best to remove all the clutter and de-personalize the property. Remove all the personal items from the house and even the furniture if possible. The house should be free from odor, and it would be best if soft music is playing at the time of buyers coming for a visit. Buyers will only be able to connect with property which looks like a commodity to them. So now you know all the right tips to consider when putting your Houses For Sale in Logan Utah. You are surely going to sail through the process of selling your home with flying colors. While a major chunk of people have their own homes and apartments in Logan, there are also people who Prefer Homes For Rent in Logan Utah. The people who rent homes in Logan often wish to redecorate the little space and turn it into a fancy one as per their will. But the biggest drawback is that they don’t know how exactly they can beautify the spaces and turn it into a stylish adobe. And there are even a few renters who just don’t want to invest money in redecorating tasks. Nonetheless, renting shouldn’t push you back from decorating your home. In fact your landlord would be more than happy to see you taking good care of their property. Talking to the landlord about your very idea of redecorating Homes For Rent in Logan Utah should be the first step. Communicate with them about your plans to update a few elements of the property. In case the floor is quite an old one, you can talk to the landlord and ask if he would be interested in replacing it. All the upgrades that you both mutually agree on making would not only make the rental much better place to live in, but also will increase the overall worth. You can also offer the landlord to conduct renovations on your own. Like the landlord could supply you the required material such as cement, paint, etc. and you could do the manual work. However, you will have to keep in mind a fact that some jobs concerned with plumbing and electricity needs help of a professional. Seeking permissions before repainting the property are essential. Next aspect when redecorating the property is flooring. More than often your Homes For Rent in Logan Utah would have really grimy flooring. Some flooring can be simply awful with numerous stains on them. And as floorings can be quite expensive investment, the landlords seem to overlook this aspect when fixing up the rental before a new tenant arrives. In case your landlord is happy to re-do the flooring, you should go ahead with it. Also, you can cover up the floor with beautiful rugs to amplify the overall spaces. It would be best to select rugs which match with the home décor well. Decide statement pieces for the rental home. You can make your property stand out by using a few statement items that go well with the house. Decorating your rental should be same as decorating your home. You can make use of different spaces in order to revamp your spaces like choose a beautiful lamp that goes well with the sofas in living room. There won’t be much effort that would go in finding statement pieces for Homes For Rent in Logan Utah. You shouldn’t also overlook the importance of fabrics. Don’t overlook the power of fabrics when choosing for the living areas particularly. Just with the cooperation of your landlord and his willingness, you can go about redecorating the property well. How Can You Generate Logan UT Real Estate Leads Online? In the mid 20th century, the real estate market started experiencing a sudden downturn. People started to believe that the prices of the homes are inflating and one day will come when the bubble would pop open. However the scenario has been the same since long. And the Logan UT Real Estate Agents who want to generate leads these days then they can do the same easily online. You should develop a clean and easy to navigate real estate website. It would be best to request the name and email address of the visitors on the front page itself. This information is useful as you can contact them over their email later on. Give an option to the visitors to open your website even without the wish of the visitors as you would never want them to leave then and there. It can become way easier to secure information of the visitors by integrating MLS listing. Various management tools such can let you follow up the leads quickly as well as track the activity on the site easily. Not just a desktop website, Logan UT Real Estate Agents need a mobile website as well to generate leads these days. Your visitors have turned smarter and they prefer browsing through the listings via their mobile. Offer an unmatched experience to your visitors that even they can cherish. Make sure that the loading time of your site is not too much and it should be extremely user-friendly. The design should be such that it highlights the most important pages. Moreover, simple functionality is a must when one wants to keep all the attention to the website. When targeting leads strictly online, you should focus on the content of the website. The leads like the fact that you post content that is readable and of benefit to them. Lots of creativity and hard work is required to churn out content that is readable. But ultimately the visitors are going to appreciate this. When compared to traditional marketing, content marketing is thrice more powerful in generating leads online for Logan UT Real Estate Agents. So, better spend some time in crafting quality content for your website which will help generate leads faster. A golden formula for success in the Logan UT Real Estate field is by keep trying over and again. Your leads are going to convert into valuable business only after repeated attempts. Lack of patience can result in your leads not turning into business. So, you just don’t have to give up. It is important that you keep trying over and again until the leads show the potential of giving you business. Just keep your communication going on for long. Emails and phone calls can be great too. And make sure you optimize your website for local search as well. Make your leads find you by using the right kind of keywords in the content. And by proper optimization, you can definitely meet your end goals. A very commonly heard saying in the real estate market is a warning referring to agents and brokers as “sharks”, who are simply waiting to devour the unsuspecting target, i.e. the buyer. Though the saying might be in good humor, the truth remains that one can never be too careful when it comes to buying Real Estate in Logan. Real estate in Logan is such a market where the supply vastly exceeds the demand. This means that the number of sellers in the market is way more t han the number of buyers. This leads to a very high degree of competition between the buyers, leading to a sellers resorting to a number of techniques in order to woo the customer. However, it actually remains the customer’s duty to stay vigilant and make a carefully calculated and informed decision regarding this matter. The first thing any buyer, planning to invest in Real Estate in Logan, should know is that the real estate agent or broker has been in the business for a very long period of time. This gives the latter a very deadly weapon, experience. Any agent or broker knows extremely well which are the soft spots of any buyer and what would sway the buyer towards making a decision in their favor. That is why; a person always needs to stay vigilant while buying new real estate in Logan. There are a few tips which can actually save the buyer a lot of trouble while buying new Real Estate in Logan. The first advice which any property agent gives to the family or person selling the house or property is to keep it in pristine condition whenever a prospective buyer comes to see the house. Generally a buyer tends to get so engrossed with the beautiful peonies by the walk, the lovely wallpaper in the bedrooms and ends up ignoring the damp and rot or the cracks in the ceiling. A buyer actually needs to conduct a thorough inspection of the property and make an informed decision, ignoring the superficial and staged aspects of the property. There is a common trick that real estate agents resort to. They tend to quote an increased price to a customer, in order to decrease it later during “negotiations”. This makes the buyer feel as if he or she h as made a very good decision and are actually reaping a profit. A buyer should actually take a little time to investigate in the neighborhood, in order to find out what actually is the current market price of the property. This saves a customer from being deceived by the agents and brokers. Before closing escrow for a Real Estate in Logan, a person should always investigate the prospective neighbors he or she might end up having, in case of a successful deal. One must always remember that good neighbors can be a blessing but bad neighbors be an equal nuisance. The people, the environment, the safety of the neighborhood are all facts to be pondered upon. A lot of people these days are taking the big leap of jumping into the domain of Property Management Logan Utah. They consider the task of managing properties something that suits their taste and need. However, it is important for these experts to first determine what all people can be successful in the field and what it requires to start the company. A property manager is a p rofessional who manages and takes care of client’s properties and ensures that everything runs down smoothly. These professionals are the liaison between renters and owners, taking care of needs of both sides. They ensure that the vacancies are filled faster, repairs and maintenances of the properties are done timely, rents are collected from tenants in time, and emergencies are handled well in time. These are some of the responsibilities that the Property Management Logan Utah firm takes care of. One of the major reasons why property managers prefer to jump into the prospect of property management is low startup cost. Nobody requires a professional degree to start their own company in Logan; moreover it is quite affordable to set up your own company. If you have a bit experience or background in real estate, it can be beneficial, though it is not mandatory. Nonetheless, a few skills are required to become an efficient property manager. 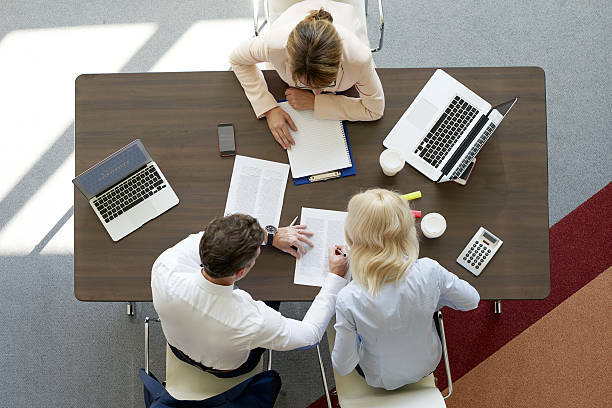 A person who has an ability to manage everything in an organized manner and ability to connect with people can take the leap and become a property manager. Other than this, one needs to be responsive to the situations and should be always on a lookout to make more contacts. To be a skilled property manager, you should be able to identify problems of the owners and tenants and provide them a solution. Also, property managers should always be on a lookout for new and efficient contractors and vendors including plumbers, electricians, and painters. So, when you are planning to start your Property Management Logan Utah firm, you first need a proper area to conduct your operations from. It would be best for you to setup your firm at your home, as it won’t require any investment. You would need a new phone number, postbox address, and computer with running internet connection to start your office. Make sure you visit all the events and seminars related to real estate whenever possible as here you will get a chance to connect with builders, property investors, property owners, and other contractors. Networking is quite important as it would help you build a client base. Lastly, you must advertise your Property Management Logan Utah firm at all possible print and online platforms such as your own website, newspapers, real estate magazines, and alike. You are going to catch attention of all the interested property owners with effective advertising. Though becoming a property manager is a challenging job, but with the right strategy you can surely find this field as an extremely rewarding one. As a Property Management agency, one question keeps coming up with estate investors wondering if they should invest in single-family homes, apartments, or plex. The question is what you will get in the Portland market. There are different types of properties available in Portland. When it comes to single-family homes, they are smaller than your typical home. 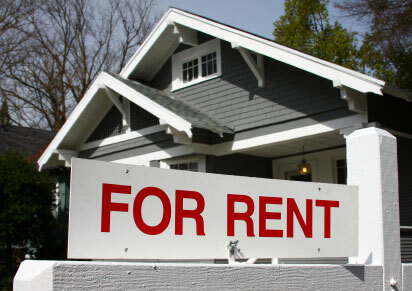 When deciding on rentals a three bedroom, two bathroom home is about 1,500 square feet and normally the rent is ±$1, 900. These rentals are more popular and affordable. When buying this type of home you will have to expect putting a bit more down. These types of properties are not easy to control compared to other types of properties. Being a Portland management Company, we have quite a few plex tenants. These types of homes are usually duplex, triplex or quadruplex and the majority of renters looking for these homes are looking for privacy. If you are considering investing in a plex look for properties that have extra space and private yards, as the majority of tenants are looking for an upgrade from living in apartments. There is a little bit of an advantage when buying a plex, even if one sides vacant the chance is great that the others rented and you should have a starting income. If you are going to buy an apartment, we recommend that you do not buy the lowest building or the highest building and as we say, you want the bread and butter properties. These Multi-Family homes normally are the middle of the road apartment building. They appeal to a variety of tenants. Investing in housing is always a good and safe investment. In Property Management Portland, we know that all people need a roof over their heads and the middle of the road apartment is usually the easiest. Buy yourself an apartment in the best location as they rent out quicker than apartments found in the least favorite parts of town. When considering these options, make sure that you are buying in an area with growth. Portland has become a booming rental market – so always buy in areas where the demands for rentals are strong. When considering buying single-family homes, look for parks and schools that close to the homes in the area. Always think with your head and not your heart. Never get attached to a property or house, as you want the property to produce cash flow. Property investors need to know the importance regarding cash flow of property’s before buying. You need to budget and make sure that the property you are buying will provide you with revenue for ongoing expenses. Never underestimate the important factors that need consideration when it comes to maintenance, capital improvements, and preventative maintenance. When a renter decides suddenly to move out you need to make sure there is enough money to cover for lost rent and turnover costs as well as paying the mortgage plus insurance. At Porter Brauen Real Estate & Property Management Services, we are here to guide and direct you to the best area of town providing you with the best competitive analysis. Call us today and our professional property managers will be glad to help you. When it comes to providing your property companies, with websites for property managers, it becomes a costly exercise to attract prospective customers and another costly exercise is operating a community apartment. Property managers need to maintain the day-to-day issues to keep apartments livable as these are huge assets and can cause a major setback to your income. To a certain extent, there are things that can stand in the way to running an effective property management company. There are your investor’s expectations to consider and you want to meet those prospects. It is important for you to take note of alarming things that could lead to your company not being successful! When screening new tenants you need to take extra care of their credit history and criminal backgrounds. Take your time to check these credentials when leasing a property and following housing laws will go a long way to provide you with successful revenues at the end of a month. If you own a poorly designed website that does not entice future tenants and not user friendly it is time to invest in a company that can design a functional property management website for you. A poorly designed websites will not attract investors. Keep a close eye on your employees as workers who are only taking care of their needs to keep their cupboards full and a roof over their head may be a bad hire. Choosing applicants based on their record of accomplishment, however, does not mean that you have found the right person. Keep the culture of your property management company in mind when interviewing employees or use a professional agency in finding the right employee for the job. Stay away from non-registered maintenance contractors, as this can become an expensive exercise in the end. Make sure that maintenance technicians trained when working at apartments concerning electrical equipment, especially as untrained personal cause safety hazards that become costly where hospitalization and equipment are concerned. Keep an eye on utility bills, as this can also become shocking put into practice ways to keep electricity bills at the minimum. Make use of landscaping services to keep apartment landscape neat and tidy, as this is the window to leasing out an apartment to prospective tenants. Use services that make their services available throughout the year to make sure that the garden is neat and tidy from spring to winter. Make use of their service in winter to rid of snow that has piled up making your tenants’ residence easier. No tenant wants to sign a lease when they find apartments in unpleasant conditions ensure that you use pest control services to keep unwanted pests away from the buildings especially rats and cockroaches. When tenants move out of an apartment use the pest control service to fumigate apartments before letting in new tenants as you would not like occupants advising that they have termites or bed bugs in their home. You can see termites as they eat away wood, however bed bugs go unnoticed, and replacing the tenant’s possessions becomes expensive. When looking for a property whether a rental or a place you want to own, you seek for the best people to help you and we aim to be the best resource for you. We provide you with many articles all about properties, property management, great locations of properties, and many more. We have a wide range of resources of our own where we get viable data and information about the real estate world and property management know how’s. We have been catering to or readers for some time now and we want to continue serving our readers with the freshest and latest news and updates about the properties for sale or rent in various states and the changes happening in the real estate industry as a whole. Austin in Texas is one of the fastest growing metropolitan cities of the United States of America. The city boasts of a good infrastructure and is capable of providing several jobs. People from all over the country invest in the Austin properties of all types. The real estate market is soaring high offering maximized profits to all the property owners. The property owners need help of the Austin Property Management company to manage the property and keep it in good shape. Inventory management software – There are several inventory management apps in the market that will help the property managers in listing the objects of the property that need regular checks. These include kitchen appliances, TV, heating systems, etc. The inventory automatically alerts the property manager about the upcoming checks. Also, this inventory helps in reminding the property manager about the warranty and guarantee expiry dates of different appliances. Lot of money is saved in this process. Asset management software – This is kind of an online store where the property managers feed in details of different products. The residents usually ask for basic objects like bed, mattresses, furniture pieces, etc. The asset management software allows the property managers to keep track of the available stuff and order for new if there is a request or shortage. Payment software – It is a fast moving era where people usually don’t have time to pay rent in person. It is directly transferred to the bank account. Owing to lack of time, residents prefer to use mobile services and pay rent online using payment software. The property management company must have payment software on their site in order to ease out the lives of the clients. Request and complaint apps – The Austin Property Management website and mobile version must have a request and complaint app. By using these apps, the residents could directly send their requests or complaints to the property manager. Requests about new storage, cleaning or complaints about tap leakages, non-working appliances, etc. can be immediately conveyed to the property managers without any further delay. The property managers hesitate in using the new software and applications as they find it to be an added job responsibility. It is to be noted that these software are easy to use and do not require much training. These are designed to ease the work of the user and to simplify their work. All the Austin Property Management firms should incorporate new and updated software in their working. This is sure to increase their efficiency and satisfy the clients in a better manner. As an aware property management expert, you just need to pick your management software and applications wisely after doing thorough research work. A lot of property managers still rely on pen and paper for most of their official work. And many others simply choose to keep account of everything using Excel. However, with the advancement in the property management field, there are a lot of beneficial tools made available. You can choose reliable Property Management Nashville TN software for your business that is easy to use, and quite flexible. In fact, for the start-up firms, majorly the home-based ones, it is best to invest in inexpensive software that won’t hurt your pocket. As a property manager, you should always be prepared for the next day. You don’t know what may happen tomorrow. You can be asked to find out details of contractors or tenant in home or your office. Your business might expand and its profit potential might double. So in such situations having property management software that is flexible becomes really important. With such software, it becomes quite easy to keep records about everything related to your business, and even be in touch with the clients. All the information is kept on web server, and all those authorized to access the information can do so easily from their laptops, while sitting comfortably at home. You can look for online Property Management Nashville TN software that allows you to manage as many units as you want. The biggest benefit of using the Property Management Nashville TN software is that it is completely secure. All the security features are in place and you can expect better protection with such software. Some of the best management software uses SSL security, which means that all your information stays encrypted. This means no one can hack or track it in any way. Such software is sold by subscription. Try to find software for your Property Management Nashville Company that needs an annual payment plan. Find a property program that is simple to use and comes with support and training along with the fees for subscription. Look for a company offering programs which are dedicated to building long-term relations with the clients. Some of the features that you wish to have in your property management software are an accounting package, reminders, effortless data management, checking writing, and alike. Property Management Nashville TN software comes as a great rescue when you have an expanding business that requires an easy interface to deal with all the information. Keep everything in one place and let all your tenants and property owners be updated about each and every fact through the software. With software for property management, you can easily keep a track of properties single-handedly. You can automatically get all updates about your properties and can even inform your clients about the same in a hassle-free manner. Even maintenance can be a big issue and keeping a track of all these maintenance issues can be a big problem. With such software in your hand, you can avoid unnecessary clutter of papers for maintenance needs, and keep everything in one place. they are exterior. It could audio noticeable, but in which reveals a number of issues with in addition to connected with per se, particularly for places in which provide several unique kinds of weather conditions. An experience pool area servicing consultant could alter intended for these types of various weathers, which enable it to normally complete them without significant problem. This is a matter of an Riverside pool service creating allowances for that weather conditions. Decreasing strategy to the weather difficulty should be to purely cover the actual pool area which has a hardware get include. The include makes sure that absolutely nothing can get to the pool area, making sure the actual pool area is usually retained clear. It also limitations pool area mishaps, seeing that no person is able to enter in the actual pool area while include is usually closed; that continues young children through too much water once the pool area seriously isn’t available. It also puts a stop to simply leaves along with dust through plummeting to the pool area, keeping that clear in addition to ready intended for work with. There’s the problem connected with sustaining the actual include and it is associating unit, but those people are comparatively tiny troubles. If the operator attempt to leave the actual include, then he should either complete the actual servicing them self or even hire some kind of pool service Riverside . In the event that he / she makes a decision to hire a service the actual should help it become simpler for that servicing man or women. Which means he / she requirements to ensure that that uncomplicated to access the actual pool area, normally by leaving behind the back doorway wide open. He or she also need to ensure that the trail towards pool area is usually distinct, normally a problem with houses along with young children. Domestic pets also need to be put away in addition to any one their particular messes cleaned up. When so much has been helped intended for it ought to be simple for the actual pool area man or women to access the actual pool area in addition to clear that. Even if a new pool area man or women has been appointed the actual should complete a few fundamental servicing themself. This kind of usually means a few simple points such as keeping the actual pool area free from more substantial dust in addition to things; this could range from organic issues such as pine arms or legs from windstorm in order to clearing up from major celebration. The owner may perhaps should also watch the actual cell separate out product also to make sure that operates adequately. Obviously the actual pool area man or women will worry about the vast majority of significant servicing, even so the operator ought to take on some of the minor servicing to make sure the actual pool area appears to be good. Some regularly demand somewhat more as compared to fundamental servicing, but in which is because of the planning on the pool area. Almost all regularly call for a handful of simple compounds along with a cell separate out; other people demand more. Normally, if you experience any kind of pipework, such as intended for fountains or perhaps a jacuzzi, those people water lines should be scrutinized frequently. Some sort of jacuzzi per se could boost servicing plan, in particular when that uses time and effort included, and will require a few tender care if you can find extended periods wherever that sits unused. Dirt enhance the quantity of cleansing required due to their chance to obscure shape, and for that reason have to be helped intended for also. In a nutshell, some thing innovative than a simple pool area will demand a few considerable servicing as well as the operator should permit in which. The pool area operator ought to be mindful which the pool area is often a work which needs to be cared for. This is a work that must be consumed really, nonetheless it is usually one which makes sense a few considerable dividends. The pool area is often the center of amusement over the summertime, making it possible for a combination of going swimming celebrations in addition to after-dinner mixers. The best pool area intended for doing this is often a pool area that is distinct, clear, in addition to well-maintained, and that is only probable in the event the operator operates in consultation with a new pool service in Riverside . Having a little co-operation the actual pool area may be worthy of becoming the center of focus, and that is something worth the task. Gutter maintenance is an important activity that needs to be carried out by homeowners at least twice a year. Regardless of the type of gutter system that you have installed in your home, cleaning of the gutters is important and necessary. This is because there is accumulation of debris on the gutters over time during the year thus this can cause clogging of your gutter and cause damage eventually to your gutter. This may force you over time to replace the gutter which is an expensive and unnecessary when proper care of the gutters that have been installed is done correct and efficiently. The most appropriate time during the year to conduct cleaning, is during spring when the flowers of the various trees have dropped onto the roof and during fall when the trees adjacent to the house have shed their leaves. Accumulation of debris is not restricted to the two seasons of the year. The design of the roof and its slope also has effect on the amount of debris that accumulates on the roof over time. Houses that have roofs with a low slope experience a larger amount of debris accumulation on their roofs. Cleaning is therefore supposed to be more frequent compared to houses with a higher slope since most of the debris washes down much faster. There are several negative effects of clogging that occurs because of debris accumulation in the troughs of the gutters. The debris can cause basement flooding due to overflowing of the rainwater due to clogging. Moreover, when the water overflows, it causes settling and cracking of the foundation of the house. The constant exposure of the home to moisture makes the environment favorable for mold and mildew infestation. The window and siding also incur problems since the water may flow over them thus damaging the siding of the house and providing a good environment for insect infestation especially on wood siding. The paint may also peel off from the siding thus taking away the aesthetic appeal of the house. Cleaning of the gutters is fairly simple and requires the homeowner or the hired contractor to climb onto a ladder and brush off the debris from the trough of the gutter. Some of the homeowners may opt to remove the debris by hand which also a good technique to clear the debris from the gutters in your home. It is however very important that you ensure you observe safety rules while conducting the exercise. Accidents are very common when cleaning out the gutter since some homeowners do not secure the ladders or wear protective clothing such as gloves when cleaning the gutters. In order to reduce the amount of debris that accumulates in the gutters in the course of the year, you can install gutters guards over your gutters, which restrict the accumulation of debris in the tough of your gutters. Gutter guards are installed in the trough or over the mouth of the gutter depending on the type of gutter guard that you have selected. Gutter maintenance is an important exercise that will save you a lot of money in the long run therefore you should practice it routinely in order to enjoy the benefits of a good gutter system for longer. A property management company plays a crucial role in ensuring the proper running of your property. It eliminates the need for personal supervision and guarantees efficiency. A good example of such a property management company is property management Oxnard and it has a website that is resourceful for any property owner. 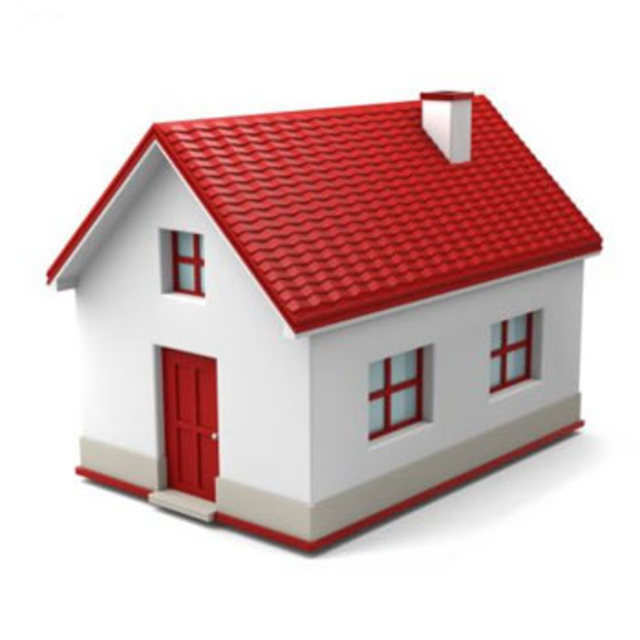 Have a look at the website and view the many different tips for a successful property owner.